Do you know the history of this former Valentine block? Summit Street (Southwest Trafficway) and 32nd in 1940. 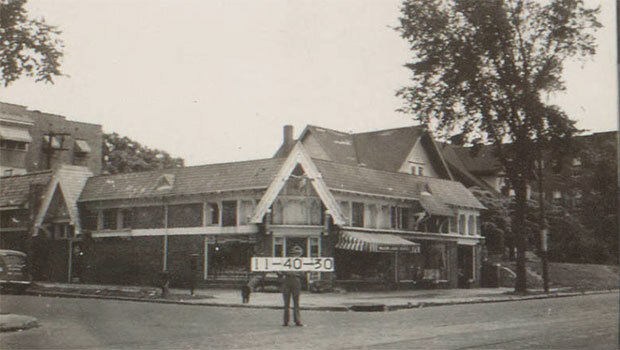 This block held local businesses that served the Valentine neighborhood. The entire block was demolished in 1971 to make way for Penn Valley Junior College (now Penn Valley Community College). 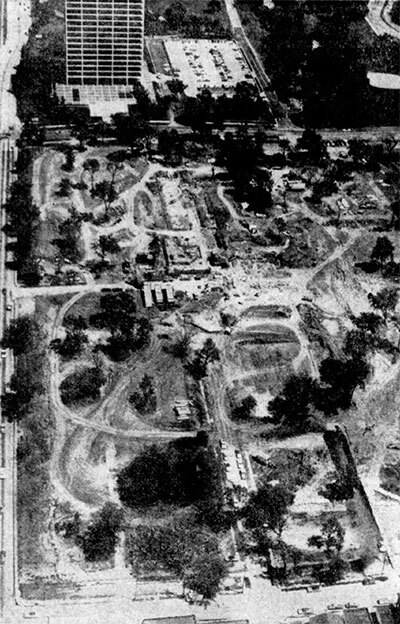 This 1971 Kansas City Star aerial photo shows 31st and Southwest Trafficway after demolition of homes but before the building of Penn Valley Community College. The view looks north up Southwest Trafficway to the BMA Building at 31st and the Trafficway. Today, we look at residences, businesses, and apartment buildings once considered part of the Valentine neighborhood, but since demolished to make room for Penn Valley Community College. The college, built in 1971, was built on all or part of six blocks between Southwest Trafficway and Broadway, from 31st to 33rd Streets. This block is one of them: the 3200 block of Summit (Southwest Trafficway) and the west side of Jefferson from 32nd to 33rd. The 1940 tax photos show 30 buildings within the block, but by 1971, as the photo to the right shows, all of these homes had been demolished to make way for the new college. But we would like your help. Do you remember this block in 1940 or in the years since? What special memories do you have of this section of Valentine? What questions do you have about it? We’ll share your history and help to preserve it on our website. 11-40-24 was our house, the Chavez residence. Went to Redemptorist school from Kindergarten to high school there. Brings back a lot of memories. I grew up on the 39 hundred block of Central. I watched the city tear down 8 or 10 houses and build the Westport Station post office. I would love to see a picture from the 50’s of that block compared to one now. My house was torn down in the early 70’s for a parking lot. When we first moved there there was a Hallmark card factory next door to our house. Hallmark’s address was , I think, 3954 Central.